Discover yakiniku Japanese barbecue. 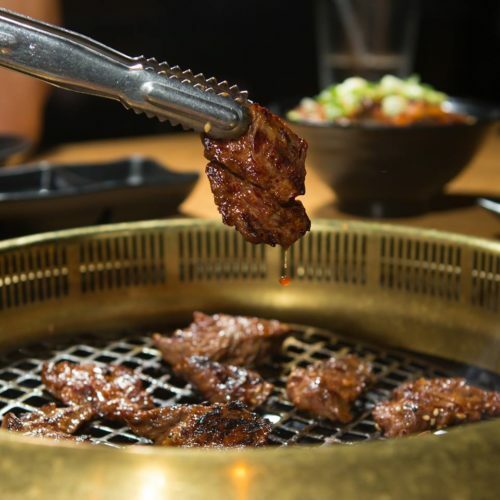 Find the top Japanese BBQ beef grill restaurants near you and learn the best yakiniku sauce to make the most flavorful grilled meats. 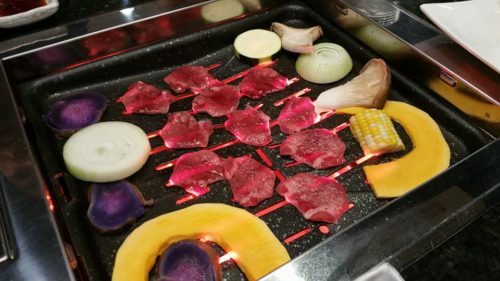 Yakiniku is a category of Japanese cuisine that literally means “grilled meat.” (Yaki means grilled and niku means meat.) In other words, it’s Japanese barbecue. Similar to Korean BBQ, yakiniku restaurants often present the diners with selected raw meats sliced into bite-sized pieces. Then, diners cook the meats themselves at their tables on built-in grills. 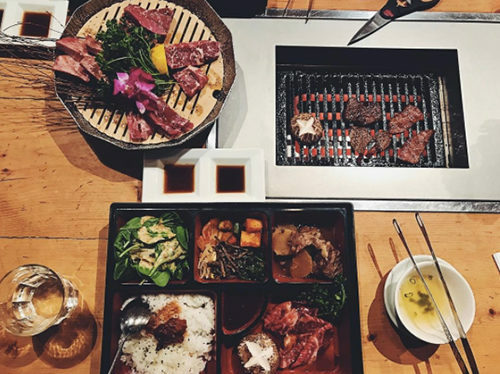 What primarily separates Japanese BBQ from other types of BBQ are the marinades and dipping sauces that are representative of Japanese flavors. This style of Japanese cooking became popular after World War II when the Japanese started adapting Korean BBQ and modifying it to Japanese taste buds. It had a resurgence in the 1980s when ventilated barbecue grills became widely available allowing diners to eat in a less smoky environment and again in the early 90s when the price of imported beef fell due to the easing of importation restrictions. 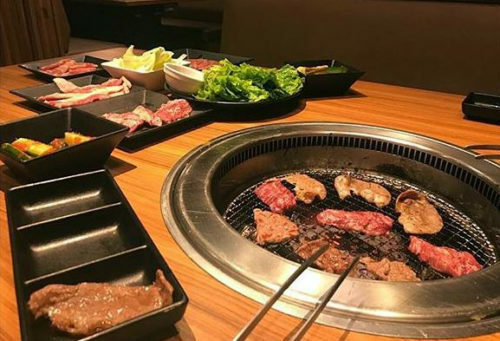 Other popular Japanese styles of grilling meat include: teppanyaki (cooking on a hot flat-surface grill), robata (cooked over hot charcoals), and hibachi (cooked on a heatproof bowl that holds hot charcoals). There are many Japanese restaurants that specialize in yakiniku. These are just a handful of the top Japanese BBQ establishments across the country. Looking for more places that serve yakiniku? You can find them on Glutto right here. How can I make it? Looking for a way to wow your house guests? 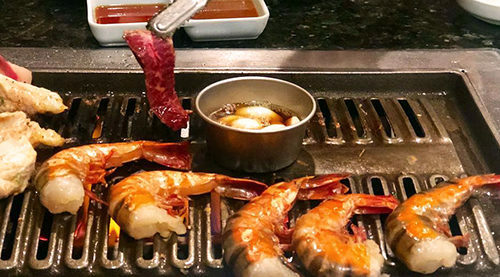 Serving yakiniku is one way to ensure a unique interactive dining experience. Simply get the raw ingredients together and let your guests do the rest! beef: wagyu steak, rib eye, etc. vegetables (thinly sliced): mushrooms, onions, garlic, carrots, etc. Display the sliced raw meats nicely on a plate and place the yakiniku sauce in a bowl. Let your guests use the small tongs to grill the meats and vegetables on both sides to their desired doneness and dip in the sauce.